They’re battling an opioid epidemic, rising crime, slashed budgets and thinned ranks. Now, they’re fighting the state’s retirement system, too. 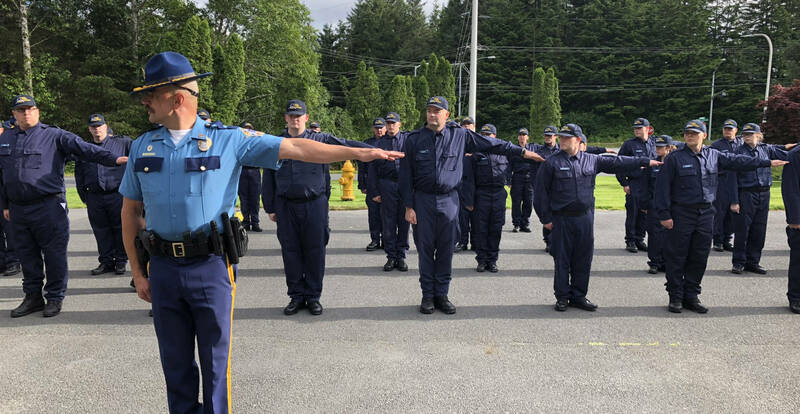 Across the state, troopers, police and firefighters say Alaska’s retirement system is crippling their ability to recruit and retain new employees, leaving gaping holes in their ranks. Now, they’re urging the state to take action and warning of consequences if nothing is done. Mercer’s budget includes 57 police officers, but nine of those positions are vacant: He hasn’t found qualified people to fill them. Col. Hans Brinke, head of the Alaska State Troopers, has 389 sworn officers and 52 vacancies. Again, he can’t find people to fill them. Rick Groshong is the new police chief in Hoonah. He came to that town from Wrangell, where he was the lead patrol officer for more than 20 years. When he became a police officer — he graduated from the state police academy in Sitka with Mercer — Alaska’s pay and benefits for police compared well to places in the Lower 48. Across the United States, a dwindling number of police recruits has given prospective employees the advantage in negotiations. Departments frequently poach officers from neighboring cities and states, and Alaska hasn’t kept pace in the recruiting race. “We will be more than happy to steal your officer from another agency to fill our ranks,” Brinke said. Brinke has 29 potential troopers in training, but with pay and benefits so much better Outside, he doesn’t know how many of those people will still be around in a few years, which is why retaining officers is even more important than recruiting them. “If we can’t stop the leaky bucket, it doesn’t matter how much water we put in it,” he said. The No. 1 thing hampering retention is the state’s 401(k)-style retirement system. “Retention of our people in the Tier IV is minimal because they want to have the security of a defined benefit package,” Brinke said. “I know that we have lost individuals to King County. We have lost people to Kent, Washington, and I know there are several other states,” Brinke said. Washington state’s police-officer pension program has guaranteed payments and better medical coverage than Alaska’s current program. The payments are higher in Washington, but Alaska’s 401(k)-style approach leaves it more vulnerable to swings in the stock market and less reliable. Alaska’s current retirement system was created by the Legislature in 2005 as a response to a multibillion-dollar shortfall in the state’s pension fund. The state’s actuary had miscalculated how much money would be needed, then hid the problem from the state. The state sued the actuary, but that didn’t solve the issue. In 2005, there was a $5 billion gap between what the state was collecting and what it needed to pay. Rather than adjust pension payments to cover the gap, the Legislature ended the pension program. Benefits would still be paid to people who had already earned them, but new state employees would instead be put into what’s known variously as a “defined contribution” system, a 401(k)-style approach, or simply, “Tier IV,” after the relevant section of the Alaska Public Employee Retirement System. Opponents of the change warned that it would make recruitment more difficult, but their arguments failed to win enough legislative support. “I am not interested in attracting a cop, teacher or cat skinner who decides whether to come to Alaska based on the type of retirement plan in our public sector,” Rep. Mike Kelly, R-Fairbanks, wrote in a 2005 opinion piece published by the Fairbanks Daily News-Miner. That attitude has had fiscal consequences. Without people paying into the pension system, the pension gap has ballooned. The state is now spending much more on training people — it costs $200,000 to train and equip a new trooper, $130,000 to train a new JPD officer — than it did before. With those consequences now known, minds are beginning to change. Earlier this year, Sen. Pete Kelly, R-Fairbanks and Mike Kelly’s brother, introduced a bill that would create a pension plan for public safety workers. Juneau lawmakers, working in the legislative minority, have advanced broader proposals for years, but Kelly is a member of the governing Senate Majority and his action is new to the process. Kelly’s bill did not advance, given its late introduction, but Brinke — who testified in its support earlier this year — said he will push for the idea again next year. Democratic governor candidate Mark Begich told the Empire he would support the concept if elected governor, and Republican gubernatorial candidate Mike Dunleavy said he is considering various options for increasing retention and recruitment. The current problems are likely to grow worse without action, police warn. 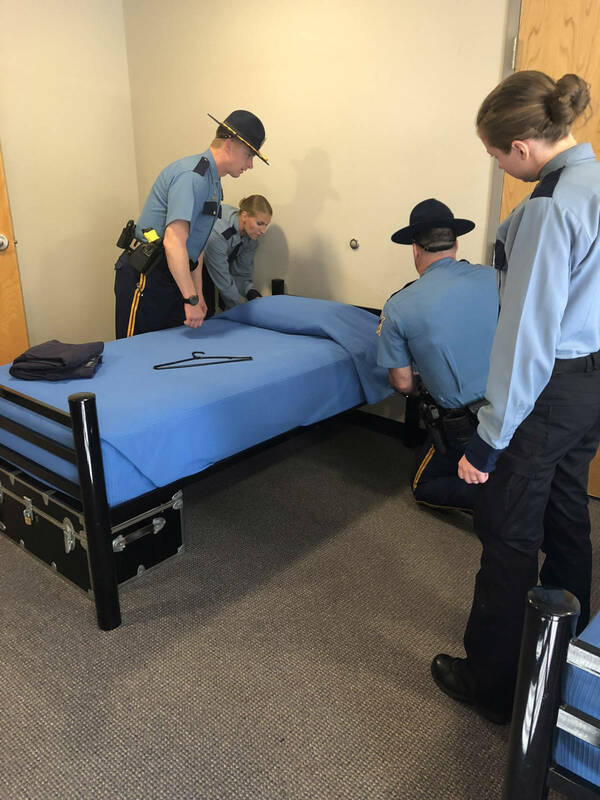 Ninety-four percent of the Alaska State Troopers’ command staff is eligible for retirement within five years, Brinke said. JPD is also facing a significant wave of retirements. At the same time, a rising crime rate is demanding more police and troopers. A recent study found that the workload in the Matanuska-Susitna Borough warrants the addition of 26 sworn officers there, above and beyond filling the vacancies in the department. Brinke said a coming statewide analysis might ask for hundreds more officers across Alaska, positions that would have to be filled by new people. “We’re getting it on two different waves, and if we don’t get ahead of those waves, it’s going to consume us,” Brinke said.